Portland, OR (October 25, 2017): After more than a decade as Portland cultural icon, after becoming the largest roller derby league on the planet, and after winning two consecutive World Championships, the Rose City Rollers (RCR) are being forced to secure a new bout venue by July 1, 2018. A new Fire Marshal rule is dropping attendance 500 to 200 at RCR bouts at the Hangar at Oaks Park. This represents a disastrous $120,000 in lost revenue, and means bouts at the Hangar are no longer financially sustainable for the 501c3 non-profit. The Rose City Rollers must find somewhere else to hold their bouts. “Simply put, Rose City Rollers needs Portland’s help,” says Kim Stegeman (a.k.a. Rocket Mean), Executive Director of Portland’s hometown—and two-time world champion—roller derby league. “Zoning rules and Portland’s fire code have come together in ways that will make it impossible to continue skating at The Hangar past next July. I am hoping someone out there can help us find a new home.” Although Marshall Runkle from Commissioner Chloe Eudaly’s office and Matt Grumm from Commissioner Dan Saltzman’s office have agreed to lend their assistance, no new venue opportunities have yet been unearthed. As much as this is a crisis, it’s also an opportunity. The current setup: The Hangar at Oaks Park is 11,000 sq. ft., and is not zoned for assembly, which means using Single Use Permits for games. It holds a single track and has limited production quality, no running water, and no locker rooms. The opportunity: RCR is looking for 24,000-36,000 sq. ft. with two areas of 10,000 sq. ft. clear span to accommodate two full size tracks, running water, parking, near transit. Ideally this location would be within Portland city limits. This larger space would allow RCR to continue to grow in ways that support the league, the sport, and Portland’s economy. In addition to holding derby practice and events in the building, RCR is hoping to add a bar/restaurant, skate shop, gym and wellness practitioners into or adjacent to their space, helping bolster the economy and livability of the local area.  If you have or know of a property that might be a good home for the Rose City Rollers, please contact Jon Rubey with Colliers International (Jon.Rubey@colliers.com) or Ms. Stegeman directly (rocketmean@rosecityrollers.com). And if you haven’t been to one of RCR’s bouts, check out its Events page: seeing a bout will give you some sense of what Portland is at risk of losing. The Rose City Rollers serve women and girls who want to play the team sport of roller derby, connect with an inclusive community, and realize their power both on skates and off. They are a 501(c)(3) nonprofit, formed in 2004, and a founding member of the Women’s Flat Track Derby Association. RCR currently serves more than 500 skaters and is supported by over 800 volunteers.